watching television, reading a book, or chatting online. When the temperature dips or you just need to wrap up you can snuggle down inside this cool blanket. Well, the term "blanket" does seem to be a bit of a misnomer since blankets are flat things. This more or less resembles a sleeping bag without the padding. 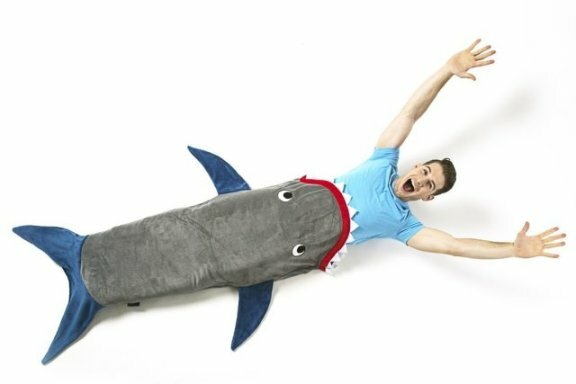 This shark is made from a "double-sided minky fabric" for a totally comfortable experience. The teeth are made of a nice, soft felt. You can even stick your feet into the tail fin so you can really get the whole shark experience. 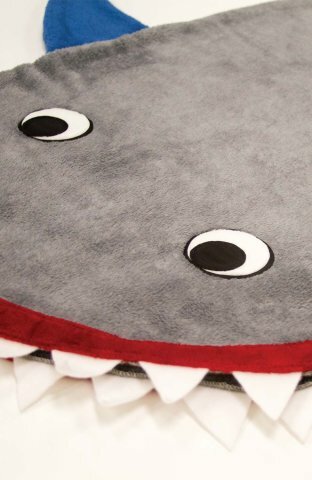 Since sharks are used to a watery existence it is only fitting that the blanket is machine washable. 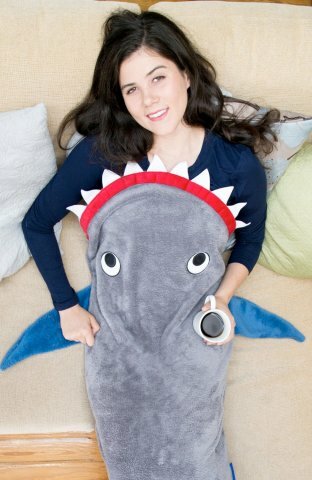 A Shark Blanket makes a great gift for the whole family. Just imagine Christmas breakfast turning into a funny shark feeding frenzy! The children's size comes in different colors to cut down on the confusion on which one belongs to which child. 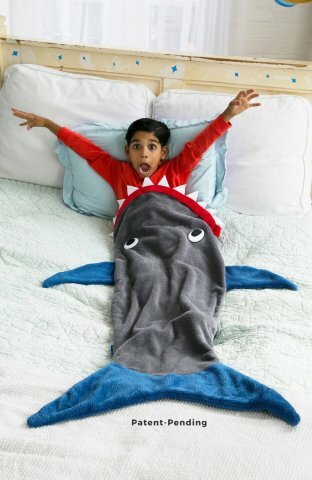 To order a Blankie Tails Shark Blanket for adults or teens, click here. For a child's size, click here.